📚Lesson # 10: Consistency.☝🏼Last lesson and it’s the most important one of all: Be consistent with your daily skincare routine. ⭐️GREAT SKIN TAKES HARD WORK⭐️ Get advice from the👩🏻‍⚕️👨🏽‍⚕️professionals in the industry (not the girl behind the counter at Macy’s). Seek advice from a practice that offers🔬medical grade skincare and will properly diagnose your skin.🧖🏼‍♀️Finally, give your skin time to acclimate to a particular product. Results are never overnight and it may take some trial and error to find the perfect product for you. Patience is 🔑KEY to getting healthy skin. It’s easy to slap on a 📸 filter on a picture but you cannot Photoshop yourself in person. 😃Thanks to all those who have 📕read, 👍🏼liked, tagged, and 👯‍♀️shared ROMS Skin School. Hope you 🤓 learned a few things and looking forward to sharing more in the near future! 📚Lesson #9: Neurotoxins. Let’s take this skin stuff to another level:💉NEUROTOXINS. Botox, Dysport, and Xeomin are the 3 common neurotoxins (AKA neuromodulators) available in the US market. *For the purpose of this lesson, I will be referring to the cosmetic use of neurotoxins. 📚Lesson #8: Use🔬medical-grade skincare. Consumers are often lured to popular over-the-counter brands and it’s easy to see why- they’re advertised all over📺TV, the packaging is cute, they smell 🌸good, and are cheap. I’ll admit to dabbling in mainstream brands from Sephora or a drugstore.🧖🏼‍♀️Some masks and cleansers I really enjoy using, but, if I want a product to make an 💥impact, I buy medical-grade. What makes a product medical-grade? I have 4 quick hints to help you out in your search for the perfect product. ⭐️#1: Medical-grade skincare contains high concentrations of active ingredients. Retailers that dispense these high-quality products need to be overseen by a👨🏽‍⚕️physician. ⭐️#2: Medical-grade formulas can penetrate into the deep layers of the skin. 🧠Remember the deep dermis is where the elastin and collagen are 🛠created. Department store brands will claim to have anti-aging benefits and contain ingredients that have been studied and proven to be effective but don’t be fooled. This brings me to ⭐️#3: Clinical studies.🔬Find a skincare line that offers clinical testing information and substantiate claims with independent studies. Those studies can be hard to understand sometimes, so if you’re really interested in learning the facts, ask your practitioner to help interpret. 🤓My patients know I love to dig deep into the subject and most leave very well 📓 educated. An informed patient truly understands the reasons why I tell them to do this and that, and are typically very 👏🏽compliant. ⭐️#4: Look for the hyped up active ingredient in the list of ingredients (usually found on the back of the product packaging). 🌡Ingredients are listed in content order, from most to least. If you see that touted “active ingredient” on the bottom half of the list, you’re probably only getting a tiny amount of that specific ingredient. I love some spa-grade lines- they feel nice, 🌸smell good, and make you feel pampered like you just left the 🧖🏽‍♀️spa. Add 🍷wine, 🕯candles, and a face mask… 💁🏻‍♀️treat yourself! But remember, this should not be an everyday habit for those that invest ⏱time and 💵 money on expensive medical procedures. 📚LESSON # 7: STAY HYDRATED.🚰 Ok here’s the tricky truth: Drinking the daily recommended 16oz of water may or may not affect your skin.💆🏻‍♀️ The point of this lesson is to understand the importance of properly hydrating your SKIN. One of the most 🤷🏽‍♀️ confusing topics for my patients is the difference between hydration/moisture and dehydrated/dry skin. DEHYDRATED skin is lacking water💧and needs HYDRATION. 🌵DRY skin lacks oil and needs to be MOISTURIZED. 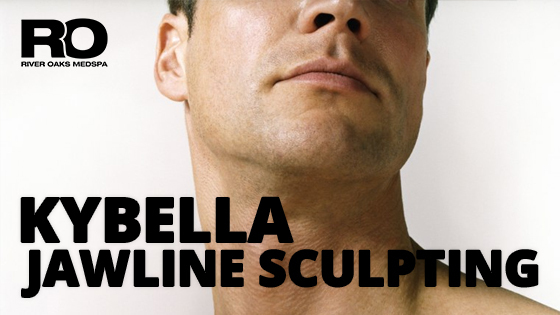 Either way, to fix your skin’s condition, your best option is applying something topically. To 💦HYDRATE your skin, look for the ingredient hyaluronic acid (HA). This itty-bitty molecule is a💥superstar and can hold a thousand times its weight in water.💪🏼 HA is found naturally in your body, one place being your skin. Unfortunately, like collagen, our own supply depletes as we age 👵🏼 and when this happens, our skin begins to appear dull and lifeless. HA also increases the amount of water in your skin cells, which results in a 👱🏼‍♀️👩🏽🧔🏾smooth and plump complexion. Now on to MOISTURIZING. Oil comes to mind, and so do🍡cake pops. Our skin contains sebaceous glands which secrete sebum, an oily substance that helps to protect and lubricate, preventing our skin from🌵drying out. Too much sebum leads to clogged pores and too little leads to dry skin.💡Everything making more sense now? Now let’s pick our products! 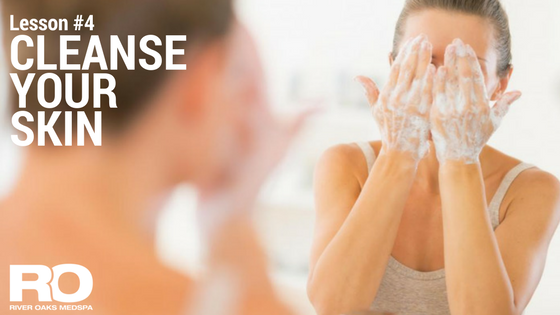 Both hydrating and moisturizing products can come in many different brands and can be confusing. 👩🏻‍⚕️My tip: buy HIGH QUALITY medical-grade products. I am OBSESSED WITH SKINMEDICA products. In the line is a complete game changer: HA5. This hydrating serum is👊🏽 jammed packed with the magical molecule hyaluronic acid. Remember to cleanse🧖🏻‍♀️ your skin before you apply your serums and moisturizers. Hydrating serums always go on first, then seal it all up with your favorite moisturizer. For those with oily skin, when you are properly hydrated, you may or may not moisturize as often. 🧠Remember our skin is an organ and in order for it to look good, it has to function optimally. The combination of hydration and moisture creates a perfect healthy balance. 💧HYDRATE!💧HYDRATE!💧HYDRATE! 📚LESSON #5: LIMIT SUN EXPOSURE. ☀️Sun is great— The warmth feels amazing on our bodies, it’s a good source of vitamin D, and aids with psoriasis. 🚵🏼‍♂️ Outdoor activity is better for your health than sitting on the couch watching 🎟Netflix, and let’s face it, tanned skin is so much sexier than being pasty and pale. 😩 Unfortunately, along with those benefits come just as many cons. Too much sunlight can lead to permanent skin damage, excessive and repetitive👺burns, and the development of skin cancer. There are ways to🛡protect yourself from the damaging effects of the sun’s rays. That’s the point of today’s 👩🏻‍🏫lesson, I’m not telling you to not go outside, I am here to help you be safer outdoors. There are several things we can do: ⭐️1- ALWAYS WEAR SUNSCREEN ON YOUR FACE AND ON BODY PARTS THAT ARE EXPOSED TO THE SUN EVERY DAY.⭐️ Make this a habit. Anyone noticed how some women have fantastic skin on their face and neck but then you look at their chest and arms and they look completely different? 🤦🏻‍♀️Maybe they ran out of sunscreen but maybe they skipped those parts all together. ⭐️2- SEEK SHADE. UV light is strongest between the hours of ⏱10 am- 4 pm so limiting sun exposure during those peak times helps to prevent some of the damage from the sun. UV rays reach the ground all year so even on cloudy or winter days, you can get 👺sunburned. ⭐️3- WEAR PROTECTIVE CLOTHING. Slip on a 👕short sleeved, or even better, long sleeved shirt and use 🧢 caps or hats with wide brims. Be aware that clothing doesn’t always block 100% of rays, if you can see light through the fabric, UV light can get through. ⭐️4- WEAR SUNGLASSES THAT FILTER UV LIGHT. 😎Most sunglasses, even designer brands, offer 99-100% UVA/UVB protection but make sure you see those words on the label. Another word to look for: UV 400. This means the 🕶 sunglasses will blocks all light rays with wavelengths up to 400 nanometers (sunlight). ⭐️5- AVOID TANNING BEDS. 🙄 So 90’s. That orangey-brown look isn’t cute, nor does it look normal. Tanning beds shoot out highly concentrated UVA and UVB light and have been linked to an increased risk of 👾 melanoma, especially if he/she starts before the age of 30. Also take caution on the 🌴beach and in 🧣snowy areas— sand, water, and snow reflect sunlight and increase UV radiation. 📚Lesson #2: 🚬DON’T SMOKE! We all know the main ingredient in cigarettes – nicotine. Nicotine is a highly addictive chemical found in tobacco leaves and acts as both a 😴sedative and a 🤩stimulant. It can calm you in stressful situations and give you an extra boost of energy when you need it. 👩🏻‍🏫 I’m not here to lecture you about the damage cigarettes can have on your body (although maybe I should)💁🏻‍♀️—I’m here to inform you on the negative effects it can have on your SKIN. 🧠Anatomy 101: Vessels carry blood which carry hemoglobin which carry oxygen. Nicotine causes your blood vessels and capillaries to tighten up and shrink. Less blood flow = less oxygen and that means your skin will look sallow (yellow or pale brown color) and unhealthy. 🤔 Ever notice that gray, ashen look smokers have on their skin? It’s because their skin is dead like a zombie.🧟‍♂️🧟‍♀️ No, just kidding, 😉but it does reduce blood flow to your skin leaving it dry and discolored. 🧓🏽👵🏾Smoking impedes healing and further speeds skin damage leading to wounds that take longer to heal🤕 and scars that are bigger and redder than those who don’t smoke. 🚬Smoking is also a leading cause of cancer so it should be no surprise that cigarettes can also increase your risk of developing skin cancer.😧 If there is one thing I want you to gather from this lesson, it’s this: ⭐️NICOTINE RESTRICTS BLOOD FLOW AND GOOD BLOOD FLOW IN YOUR SKIN IS ABSOLUTELY VITAL TO BEAUTIFUL SUPPLE SKIN.⭐️ Everyone wants the wisdom that old age brings 🧙🏻‍♀️ but we can take some control and choose not to wear wrinkles prematurely on our face. (Oh, and your breath will stink)😷🙊 That is all. 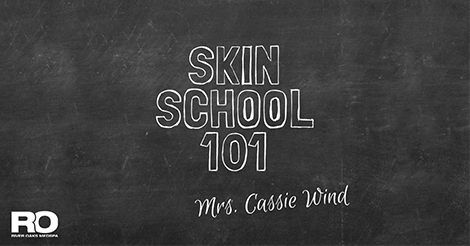 ⭐️🙋🏻‍♀️SKIN SCHOOL 101 IN SESSION!